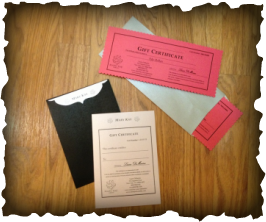 Contact me to order a gift certificate.. These certificates can only be reedeemed by me, the independant beauty consultant listed. Or schedule a personal consultation to "try before you buy".